A DJ was once thought of as the person who controls the playlist at a party or event, having very little control over anything except song order. As time and technology progressed, DJs started experimenting with their skills, and we as consumers started demanding more from them. Now a DJ can have a number of talents, from splicing samples and beats into remixes, to creating their own music on the spot with digital instruments. Starting as a DJ, you have plenty of competition, but it’s not hard to stand out. Most people have a passion for making music without the discipline to see it to a professional end. Are you the exception? Do you love music and are determined to succeed in the business of booking gigs and making a name for yourself? 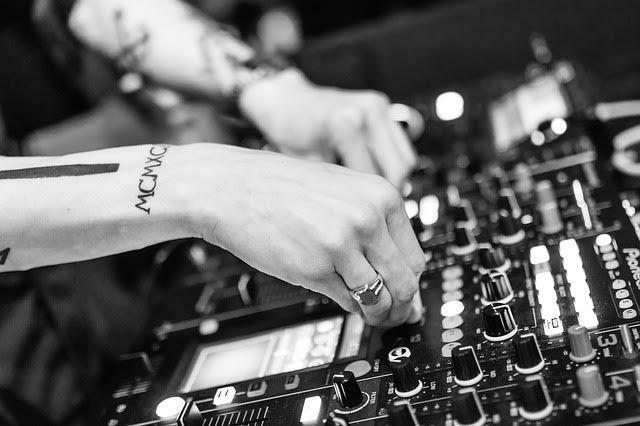 If so, keep reading for our 5 top tips for new DJs to get a head start in the industry. This will seem obvious to some of you, but every new DJ needs to make this their mantra. You need to make a good impression on everyone you meet because you never know where your next job will come from. Be polite and humble, especially to promoters and venue owners, but to everyone from fellow acts to the venue’s janitorial staff. Have an upbeat attitude and be grateful for the opportunities people give you, no matter how insignificant, poorly managed or any other negative opinion you may have about the event. Being easy to work with and having a charming personality will also go a long way if things are less than perfect during your performance. Flexibility is supposed to be one of the hallmarks of a good DJ; they can turn any song into a killer beat for any event, any audience. They can turn a cold room into a frenzy of dance with the click of a mouse. Are you prepared for more than one kind of show? The reason this is so important is because being an independent musician will land you in some unique opportunities, no one of which is the same. Promoters will want you adhere to a specific vision, and your ability to match their idea makes all the difference in whether you’re ever called again. If you don’t have one already, invest in a solid synth for performances, like NI’s Massive. This will allow you to adapt at the last moment to strange requests and keep your personal touch on every project. A couple Massive tutorials will have you working like a pro in no time. Do you have an answer for all the professional questions you’re going to be asked by your potential employers? You should think of this job as any other, except the interviews often happen on the spot and without warning. Is a promoter asking you about your website or where to find samples of your work? Have an answer for them, or better yet, a crisp business card. 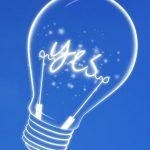 Most independent and freelance workers also live by the “Yes” rule, meaning that if you’re asked if you can do something (even if the answer is “no”) you should respond confidently with a resounding “Yes!”. Never turn down a chance to work because you haven’t done something like it before- how else will you learn and gain experience? It is! Making music and playing to your audience will always be the most difficult part of your job. Your other responsibilities are really to make great relationships with other musicians and influential people in your industry. Stay involved and be accessible, meeting your employers half-way on every project and never getting a reputation of being difficult to work with- that’s a career killer! Promoting yourself is also the key. Being humble doesn’t mean you shouldn’t have a mean strategy to promote your work and strengthen your brand. Read this for some tips on promoting your name and making the most of free mediums like social media.